It's what you've been searching for at a price you can afford! Be the first one to enjoy the brand new modern finishes! Features include an eat in kitchen equipped w/ brand new appliances (Refrigerator to stay) & a great sized pantry for easy kitchen storage. Simply relax or entertain in the spacious neutral family room at the front of the condo w/ gorgeous flooring and neutral walls waiting for your finishing touches. Tucked away upstairs are two newly carpeted and freshly painted bedrooms featuring easy to clean tilt in windows and closets w/ organizing systems already in place for you! Upstairs full bath boasts sparkling clean shower, modern vanity, new lighting, & stylish floors. Enjoy the convenience of the unfinished basement perfect for extra storage or extra living space. Don't miss washer and dryer which stay with the condo, new water heater (2018), new HVAC (2016/2017) & a bonus 1/2 bath! Out back is a private covered patio, 2 off street parking spaces, & private storage. 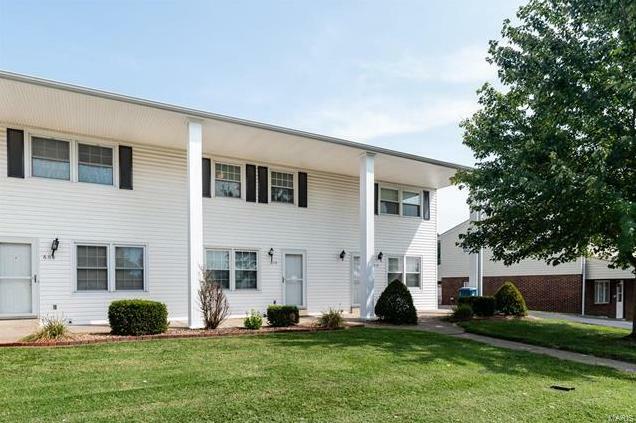 610 Yale Boulevard (MLS #18069415) is a 1 story condo/villa located in St Charles, MO. This condo/villa is 936 sqft and on a lot of 479 sqft (or 0.01 acres) with 2 bedrooms, 2 baths and is 48 years old. This property was listed on 08/24/2018 and has been priced for sale at $105,000. The 2 bedroom condo/villa at 2811 Mayer Drive in St Charles is comparable and sold for $89,900 on 03/14/2018. Another comparable 2 bedroom condo/villa , 2809 Mayer Drive in St Charles sold for $101,000 on 04/10/2018. Nearby zip codes are 63045, 63302, 63303 and 63376. This property neighbors other cities such as Earth City, Other, St Peter and St Peters.